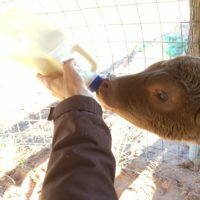 Meet Wendy and Ray Hoseason-Smith Western Australia WWOOF Hosts who live in the beautiful, remote, beef cattle station in the Gascoyne Region of Western Australia. 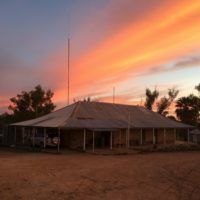 Our beautiful, remote station is located in the Gascoyne region of Western Australia. We produce beef cattle, mainly for the local Australian market. Our focus is on managing our cattle to reduce their impact on the country. We are working on erosion control to help re- vegetate and re-hydrate the land. We are also working on growing fodder trees to supplement the cattle during times of drought and to reduce their impact on the local vegetation. We maintain a small fruit and vegetable garden so that we can have fresh organic food and our homestead is powered by a solar power system.Our station is centrally located only a few hours drive from Mount Augustus and the Kennedy Ranges and we are 250km from Carnarvon. 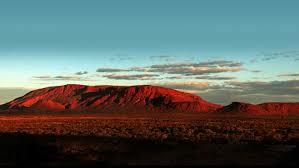 Mount Augustus is located in the Mount Augustus National Park in Western Australia. The name is also given to the neighboring pastoral lease, Mount Augustus Station. The local Wadjari people call it Burringurrah, after a Dreamtime figure, a young boy, who was speared and turned into a rock. CLIMBING MOUNT AUGUSTUS. 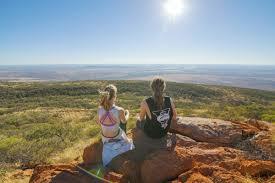 While climbing Uluru is actively discouraged, the much longer 12km return walk on Mount Augustus is encouraged. 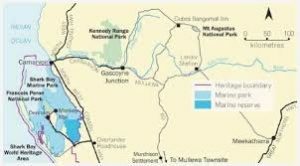 Mount Augustus is protected within the 9000ha Mount Augustus National Park which, while small in size, has the region’s biggest attraction. Our beef cattle are organic and grass fed. 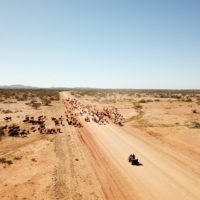 We use ‘low stress stock handling’ techniques to produce a calm, quiet herd. We are also working on using trap yards to muster cattle. This reduces our fossil fuel consumption by reducing vehicle, plane and helicopter usage. It also helps us to manage stock numbers and reduce their impact on the land. We are building leaky weirs with recycled fencing materials to repair erosion effected areas and re-vegetate with native grasses. Our fodder trees are grown using our own organic compost. Our small fruit and vegetable garden is grown using organic techniques.